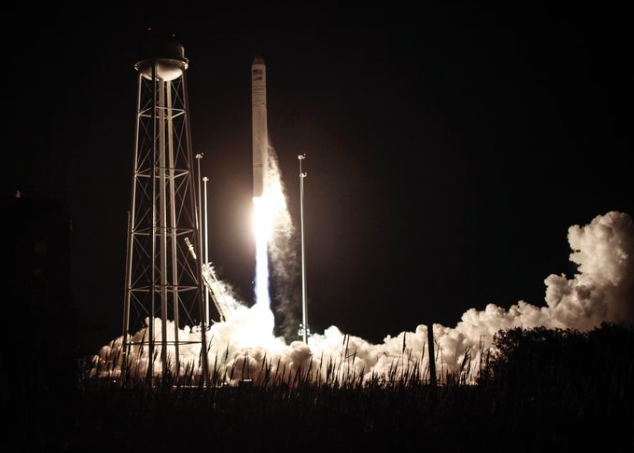 With approximately 7,400 pounds of science experiments, tools and food, tightly packed inside, Northrop Grumman’s Cygnus spacecraft launched aboard the company’s Antares rocket and began its journey to the International Space Station on Saturday, November 17. Just two days later, the spacecraft reached its destination where it was greeted with a warm welcome from three astronauts anxiously awaiting its arrival. This mission marked the company’s 10th cargo delivery to the orbiting laboratory which is also celebrating its 20th anniversary this month. While the delivery of cargo and removal of trash has become almost routine for the cargo module, each mission is unique and continues to demonstrate the future capabilities of the Cygnus spacecraft. The NG-10 mission takes off from NASA’s Wallops Flight Facility at 4:01 a.m. EST on November 17, 2018. For this mission, known as NG-10, Cygnus was named in honor of NASA astronaut John Young. Young was NASA's longest serving astronaut, and a pioneer in the field of human spaceflight who positioned future astronauts to live and work in space. His bravery and record-setting accomplishments pushed the boundaries of human space exploration, making him an ideal honoree for the NG-10 mission. Early on November 19, the S.S. John Young performed flawlessly as it maneuvered to dock with the International Space Station to begin its second phase of the mission. Once all the cargo has been unloaded, which includes ice cream for the astronauts, Cygnus will be filled with disposable items and unberthed from the station. 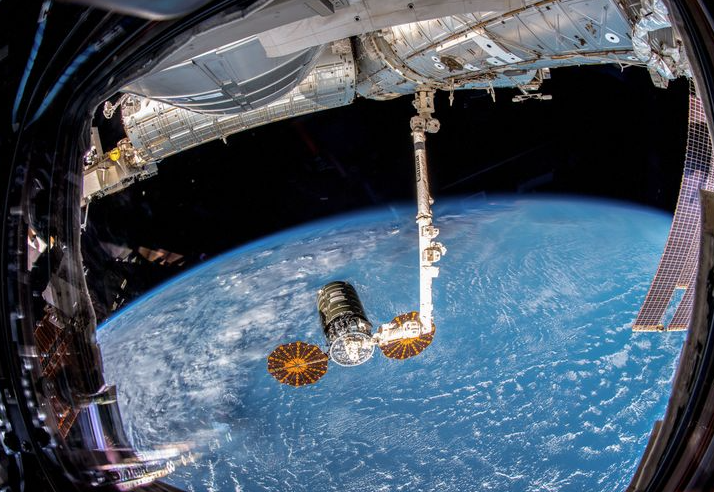 Although it’s not a glamorous task, the removal of unwanted items is critical to the operation of the space station and is a unique service provided by the Cygnus vehicle. November 20, 2018 marked the 20th anniversary of the beginning of construction of the International Space Station, one of the most significant scientific achievements of our time. Northrop Grumman is honored to support the critical research that has been performed on the International Space Station for almost two decades. We look forward to expanding our role with Cygnus through future activities such as increased science accommodation and extended stays in orbit.